Description Third Row Seat, Back-Up Camera, Satellite Radio, Dual Zone A/C, ENGINE, 3.6L V6, SIDI, VVT, AUDIO SYSTEM, CHEVROLET INFOTAINMENT.. Aluminum Wheels. MOSAIC BLACK METALLIC exterior and DK ATMOSPHERE/MED ASH GRAY interior, LT Cloth trim. Third Row Seat, Rear Air, Back-Up Camera, Satellite Radio, Dual Zone A/C Onboard Communications System, Aluminum Wheels, Keyless Entry, Privacy Glass, Child Safety Locks. 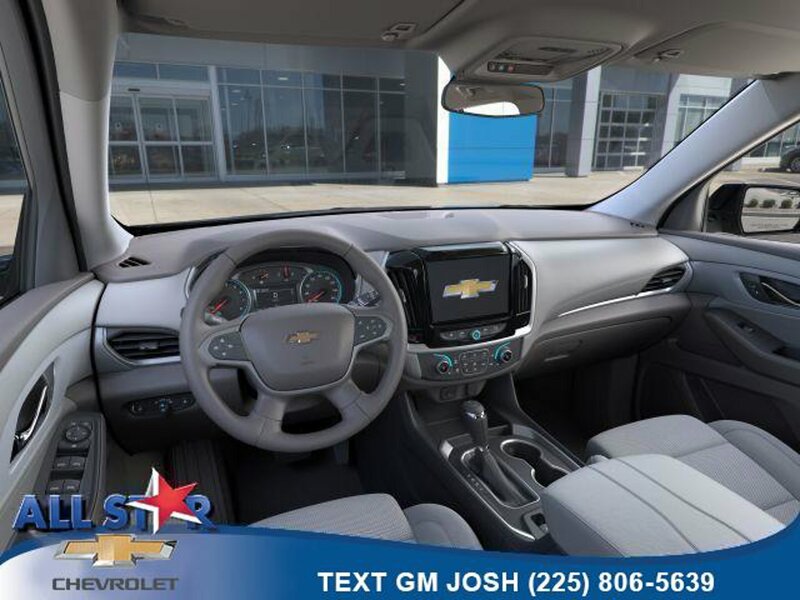 CONVENIENCE AND DRIVER CONFIDENCE PACKAGE includes (IO5) Chevrolet Infotainment with 8" diagonal color touch-screen, (UDD) multi-color Driver Information Center display, (KA1) heated front seats, (UG1) Universal Home Remote, (BTV) Remote Start, (TB5) rear power liftgate, (UKC) Lane Change Alert with Side Blind Zone Alert, (UFG) Rear Cross Traffic Alert and (UD7) Rear Park Assist, TRANSMISSION, 9-SPEED AUTOMATIC (STD), LT CLOTH PREFERRED EQUIPMENT GROUP Includes Standard Equipment, AUDIO SYSTEM, CHEVROLET INFOTAINMENT SYSTEM with 8" diagonal color touch-screen and AM/FM stereo, includes Bluetooth streaming audio for music and most phones; featuring Android Auto and Apple CarPlay capability for compatible phones, ENGINE, 3.6L V6, SIDI, VVT (310 hp [232.0 kW] @ 6800 rpm, 266 lb-ft of torque [361 N-m] @ 2800 rpm) (STD). Chevrolet LT Cloth with MOSAIC BLACK METALLIC exterior and DK ATMOSPHERE/MED ASH GRAY interior features a V6 Cylinder Engine with 310 HP at 6800 RPM*.